Hello everyone! 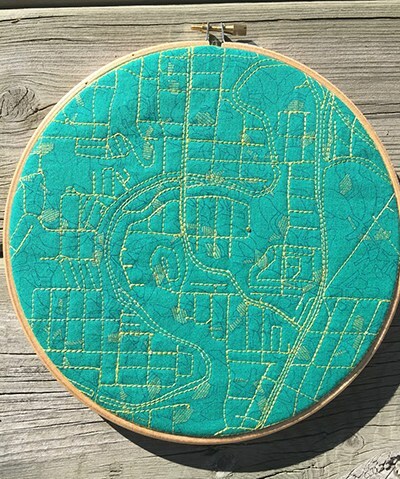 I'm excited to be the quilter for week 20 of 2016's 52 weeks. With a background in mathematical economics and library science, I've always been drawn to the geometry and order of quilts. My quilting began as a way to celebrate friends' newborns, but eventually became a form of expression and experiment for me. I loved the challenges involved in combining the structure of quilting with the creativity of bringing together different fabrics. Since the start I've wanted to make something that will last past babyhood; items that could become future heirlooms. I play with bolder colours and patterns in hopes that these quilts and items will continue to appeal to a child as they grow up. These style choices led me to the Modern Quilting movement, which has introduced me to a community of quilters that has helped improve my skills (and increase my daring to try new things). Through the many hours that I spend quilting, there's a lot of love put into each hand-finished item that I make. While it can be hard to part with each piece, there's nothing better than to see what I've made in use. I get a thrill when I see one of my bibs covered in spaghetti sauce, or my quilt being used for tummy time. What I sew is made to be well used and loved. 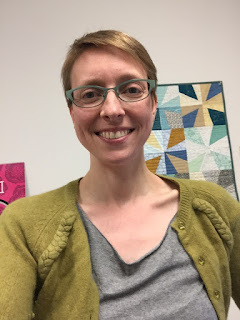 This week I hope to show you little tidbits of my life, with a heavy emphasis on my quilting. Looking forward to a great week together.